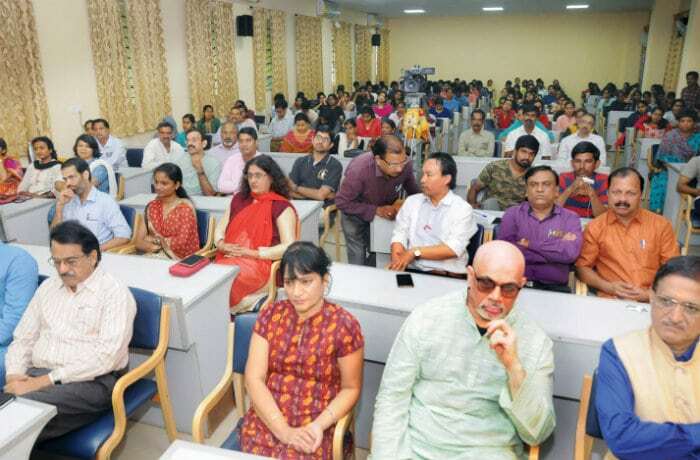 Mysuru: Marking the 58th Foundation Day of National Council for Educational Research and Training (NCERT), a function was held at Regional Institute of Education (RIE) auditorium in Gangothri Layout here yesterday. Inaugurating the programme, Sarod Maestro Pt. 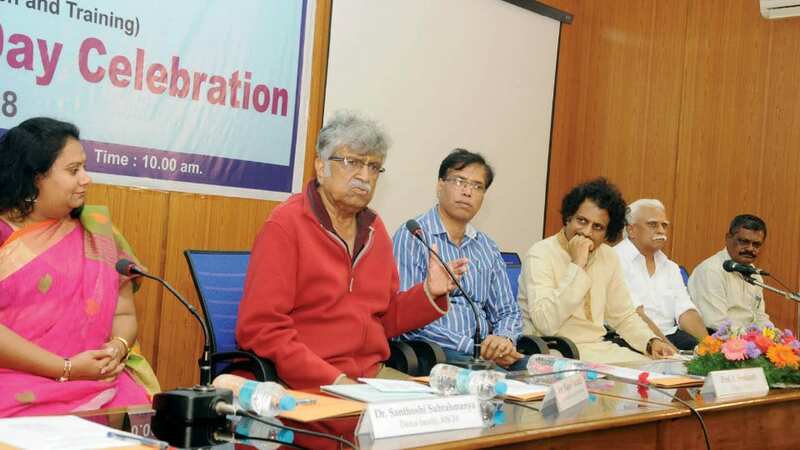 Rajeev Taranath, referring to the idea of introducing performing arts as a compulsory subject in schools and colleges, opined that it should be introduced as an audit course with no evaluation process. He pointed out that talent matters a lot in performing arts and not degrees and certificates. He asserted that a person cannot become a good artiste just by holding a degree or certificate in performing arts and jocularly said that such person can be called as Apa‘swara’ or Be‘thala’. Referring to his career, Pt. Taranath said that he had spent his whole life for music with no degree in that art. He further said that he had not served in any University and regretted that a degree was vital to work in any University and not talent. He asked Music Universities to give priority for practical training and not theory as is being done now. icture shows a section of the audience. He felt that the Music University in Mysuru should have been named after Veene Seshanna or Pitil Chowdiah who hailed from city. He added that a Music Varsity in North Karnataka should have been named after Gangubai Hangal. Speaking on the occasion, theatre artiste S.N. Sethuram observed that performing arts helps in overcoming depression. He advised people to communicate more with humans and not with machines.